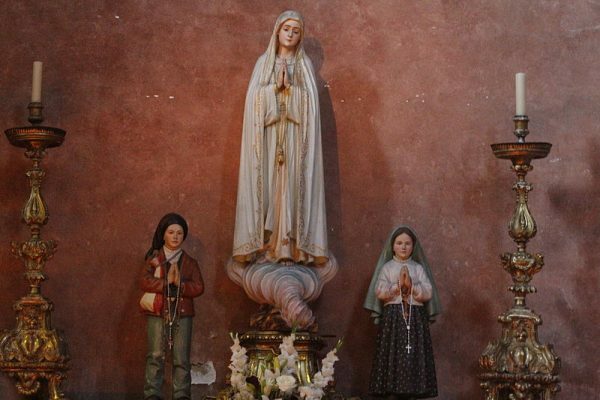 Pope Emeritus Benedict XVI has confirmed that the Third Secret of Fatima is that many Catholics would choose to disbelieve the revelation of the Third Secret if it was not apocalyptic or anywhere near terrifying in nature, the Vatican announced yesterday. According to the statement released last night by the Holy See Press Office, articles claiming that the Third Secret of Fatima was not released in its entirety was just proof that the third secret was actually true. “As you can see, so long as the Third Secret did not contain things pertaining to Judgment Day, Armageddon, or the murder of a pope, people were not going to be satisfied and demand more,” said head of the Holy See Press Office, Fr. Raymond Totti. One local Catholic, Stephen McDonald, told EOTT that he was “quite frankly, angry” with the revelation. “Well that was a big letdown to say the least,” McDonald said. “What’s been the point of my devotion to Our Lady of Fatima all these years if not my fascination with a possible prophesying of bloodshed in the streets of Rome or something awesome like that? That’s why I’ve always loved Our Lady of Fatima more than her other apparitions. There was always this cool and scary expectation, thinking that, anything could be revealed. Our Lady of Fatima to me was kinda like the M. Night Shyamalan of apparitions. But in the end, I kinda felt like I’d been taken for a ride. It was like watching the LOST finale, you know. All those years of suspense building up…and all coming to nothing. McDonald went on to say that he had hoped that the Third Secret was something he could use to bang over people’s heads like he used to do about the pope needing to pray for the conversion of Russia.